The meadows- 3 star property is tugged with modern amenities and offers convenience of reaching all tourist destinations. The 48 rooms and suites offer a guest great comfort and pleasure of distressing in peaceful environment. 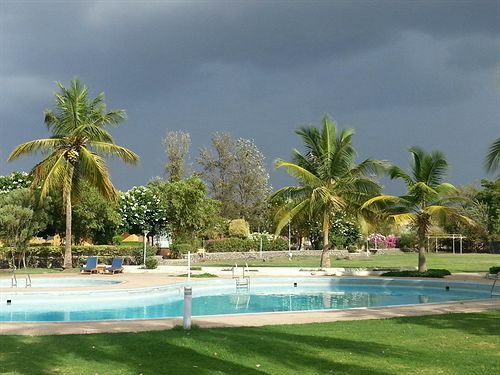 The meadows are manicured with 11 acre gardens do creates bliss of staying in lap of nature. Its India’s one of the eco friendly hotel. Management here promotes activities farming, rain water harvesting and solar usage. It is interest to see variety of birds and species. The fully furnished cottage offers charismatic feel of nature, shaped like crescent offers complete different and unique View. All the rooms are designed in distinct style. Each room have its own patch of lawn. To add glimpse the management here also offers free usage of Gym and swimming pool, Free pick and drop facilities from Airport/Railway station. The cottages here have large size beds. If you enjoy harmony and privacy, this cottage with the blend of holistic approach just suffices your every need of luxury. These cottages Designed with the view of garden and water pond perfect to feel the moment of leisure and relaxation. The additional facilities of welcome breakfast are tugged at Marmalade Cafe on selection of this cottage. To mesmerize our senses this category of suite offers a blend beautiful views featuring of well maintained landscaped gardens and surrounding hillscape. The ethnic art and Indian décor just leaves us completely speechless. Even the patio has traditional Indian Swing. Detailed attention is given even to the bathrooms they are given the finished look of mosaic tiles in complimentary colours. You could even enjoy the complimentary services of fresh flowers. Class of relaxation and privacy can be experienced best here; it is located in the private corner of the estate. The guest here is warmly welcomed with wooden flooring, traditional arm chair with footstool. Exciting ambience and the decors are made like English room. For the ultimate needs of relaxation and rejuvenation the suite has master bedroom or even offers the choice of twin bed occupancy. Wi-Fi services are available for high speed internet access. It is Perfect suite to feel the epitome of Indian hospitality. Couture of finest details and thus provides the best of contemporary look. Suites here overlooks the Stepped garden and Pond. The suite here has the brevity of spaciousness and warmth of feel like home. It has full length mirrors and amenities of tea/coffee maker, direct dial phones, mini bar, DVD players and much more. With the good amenities you could even enjoy the dynamic and quick services. At Quality Inn The Meadows in Aurangabad, the guests can take their pick from the 48 well-appointed guestrooms that offer refreshing and relaxed accommodation. The guests have the option of taking their pick from the either the quaint cottages or the exclusive theme suites. The rooms feature pleasant interiors and are well-appointed with temperature controls, satellite television and telephone with direct dial facility. Even as you enter the rooms you can smell a sweet fragrance that wafts out of the freshly picked flowers that adorn the rooms. To suffice every need of taste buds all kinds of cuisines and delicacies are served here. The Worth experiencing are Indian, Japanese and Thai Cuisine available on pre orders. The worth trying dishes here are Lettuce Cups, Moo Goo Gai Pan and Moorish Kebabs. All the experienced do add their personalised touch and scrumptiousness to every meal be it lunch or dinner. The hotel specialised in Deccan Cuisines. All the chefs and Management do strive to accept your every possible request of cuisines and giving the finesse of different tastes. If you like the fresh aroma of French bread and French press coffee do visit here. The place offers delighting and scrumptious international sandwiches, Snacks and delightful Indian Street food with good hygiene. The place it maintained with good ambience and freshness of light background music that makes every conversation started. Worth Trying dishes here are strawberry pan cakes with grilled sausages and Himalayan Momos. The place is opened from Early morning to 11 pm. At the in-house bakery of Quality Inn the Meadows, guests can relish on some sweet delights like special cakes along with other bakery items such as breads, cookies, confectionariesand a vast selection of savouries. Some of the must try items are Cumin cookies, Cheese, caramelized onion and herb quiche, Fenugreek rye bread, Parmesan twists, Moroccan almond paste Gazelle's Horns, Rosemary, olive and sundried tomato bread and French Cherry clafoutis flan.